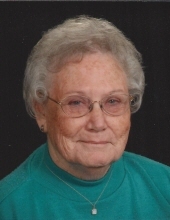 Lois D. Dills, 87, of Charlotte, went to be with her Lord and Savior on December 31, 2018. She was born on October 24, 1931 in Seaforth, Ontario, Canada, to Charles Frank Dill and Eoma Fern Kohler, and her family moved to Michigan when she was 2 years old. Lived in Detroit while her dad worked at Ford Motor Co; moved to Sparta, MI where she started kindergarten – dad was working for Kroger, being transferred many times. His next job was in Muskegon where she attended first grade. They then moved to Lansing – went to St. Mary’s School for 2nd and 3rd grade – went to Willow Street School until 1941, when they moved the Driver School which is now part of Waverly – attended West Jr. (Waverly) and graduated from Sexton High School in January 1949. Enrolled in Lansing Business University and graduated with degree in Stenography. At age 7 Lois started playing the violin and was so small she needed a half size instrument. She played in the orchestra at Hager School of Music in Lansing. Continued with the violin through Jr. and Sr. High School and was privileged to attend several music camps at Michigan State. She also took piano lessons having learned the basics from her mother. They enjoyed playing together for family music. During her time in business school, Lois worked jobs sent by the school in a collection agency, insurance office, and at the State Dept. of Natural Resources. After graduation she was hired at Michigan State in the Department of Guidance and Counselor Training, where she thoroughly enjoyed her job. During Jr. High and High School years, she roller skated often at the Palomar Rink where she sometimes checked coats and worked at the soda fountain. It was during this time Lois met her husband Paul and they were married in South Baptist Church in Lansing September 30, 1950. They lived in an apartment in Lansing for a while, and then moved to the farm where Paul had lived since 1940. During Lois’ lifetime she enjoyed many things. Besides having three great kids, drove farm trucks and tractors and did various farm work. She continued at MSU until 1953. After this she substituted in her old office during registration and heavy workloads. She worked for Gal Friday in Lansing as an office temp and had many wonderful experiences 1-2 days or more at a time. Lois also became a Red Cross Volunteer at Charlotte Hospital in 1962 and remained in her weekly position until 1996. She was elected to the Red Cross Board of Directors for 3 terms and several as head of volunteers at Mid-Michigan Chapter for a short period of time. During this time she also volunteered at the MSU WKAR Radio Reading Service until 2011. Nearly 30 years she took the Michigan Realtor Course and worked as a realtor for 10 years at Prudential in Brighton, giving up her license in 2004. When Lois and Paul moved to the farm, they attended Oneida Gospel Church, where she was the choir director and also taught Sunday school. In 1965 they went to Grand Ledge Baptist Church where she sang in the choir and taught 9th grade boys Sunday school class. She had wonderful memories of all the things she was a part of during her lifetime, especially the fact that she was the first woman hunter safety instructor in the State. But most of all that Jesus was her friend, savior, and helper and was all you really need. Lois leaves a legacy of kindness that touched the hearts of all who met her. She was preceded in death by her parents, and is survived by her husband, Paul, sons Ned (Kimberly) Dills, Ted Dills, and daughter, Nancy (Paul) Hicks; brother Bob (Karen) Dill and sister Arlene Shaw, 5 grandchildren, several great grandchildren, and many nieces and nephews. To send flowers or a remembrance gift to the family of Lois D. Dills, please visit our Tribute Store. "Email Address" would like to share the life celebration of Lois D. Dills. Click on the "link" to go to share a favorite memory or leave a condolence message for the family.